The words of Saint Eugene in the Rule of 1818, “leading young people will be considered as an essential task in our institute,” make clear to us that this ministry belongs to the charism of our Congregation. Recently, the Chapter of 2004 stated again that it is an authentic Oblate ministry by adding it to Rule 7b. We were grateful to the Congregations’ leadership for the opportunity to come together to further the work accomplished by the 34th General Chapter and the Intercapitular Meeting of 2007. Blessed by the participation of representatives of the whole Congregation, this Congress gave us an opportunity to reflect on how we share our charism and mission with youth. The mission with youth has become crucial now. Witnessing to Hope mentioned the “widespread poverty of today’s youth.” Indeed, they face the secularism, individualism and consumerism of the current culture of globalization. But at the 2004 Chapter, we also expressed the confidence that youth have an “enormous capacity to transform the situation” (WTH 17). They are not merely the future of the Church and humanity; they are also the present. Reading the signs of the times and responding to the needs of our mission, as Oblates, we want to leave nothing undared and we take up the challenge to walk with youth. They challenge us in various ways. Listening to their expectations, we sense a strong call to be personally faithful to living our lives in such a way that we truly give flesh to our Oblate values; we also feel called to open our communities (and not only our buildings) to youth. We must invite them to participate in the mission to which Jesus Christ has called us. We have especially heard the challenge to renew our mission in parishes, schools and educational centres. We want to be especially at the service of marginalized and abandoned youth. In all of those places, we want to see new forms of evangelization, using methods through which we can share our responsibilities with the young themselves. We must be attentive to those young people who wish to share our charism in a deeper way. Therefore we must make available adequate means to share with them the charism of St. Eugene, creating programs for the formation and association of those young people who might feel especially called to work with us. Collaboration with everyone is a priority and should happen at all levels (local, provincial, regional and congregational). We believe that the local level should be first and foremost, and in addition, we also propose a better coordination of efforts on the interprovincial and regional levels. Finally, we have felt the necessity of preparing ourselves adequately as Oblate missionaries in order to respond to these challenges. 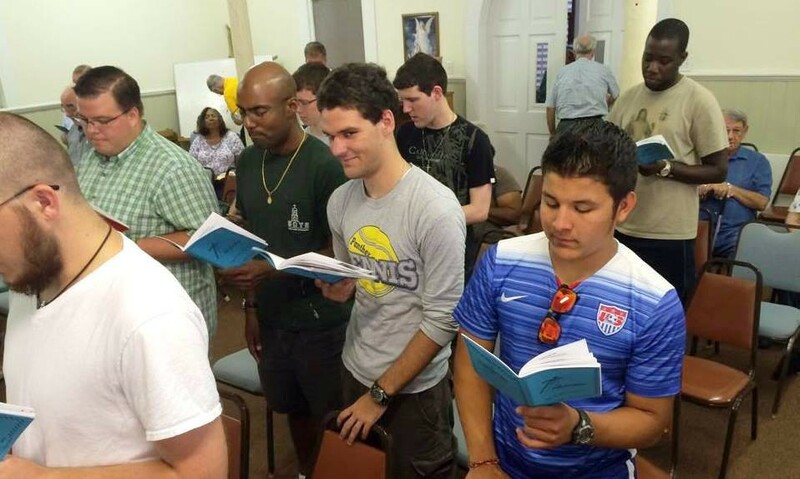 We believe that every Oblate, during his first formation, should be initiated into this ministry and learn how to be a personal companion to youth on their road to maturity. Those who have been specifically assigned to youth ministry should help in this by giving scholastics and Brothers an adequate and thorough formation. Mindful of the influence of new technology in youth culture, we have tried to take a first step by committing ourselves to collaborate in the new web page dedicated to our mission with youth in our Oblate family. It can be found under www.omiyouth.org. We will publish there all of the official documents of this Congress and, in the future, we will share our experiences, our dreams and our concerns. We hope that the Holy Spirit will inspire us so that we may prayerfully reflect on the Congress’ wishes and proposals and find ways to give them life in our local communities and Units and in the Congregation at large. The time has come to pass from the written word to concrete action. May the youth continue to inspire us as they did in Australia during the International Oblate Youth Encounter, the World Youth Day and the First International Oblate Congress on Mission with Youth. May we learn to listen to the young generations and accompany them as did St. Eugene de Mazenod. And may we learn from Mary Immaculate, who is ever young, how to give an adequate response in evangelizing youth, especially the most abandoned among them.